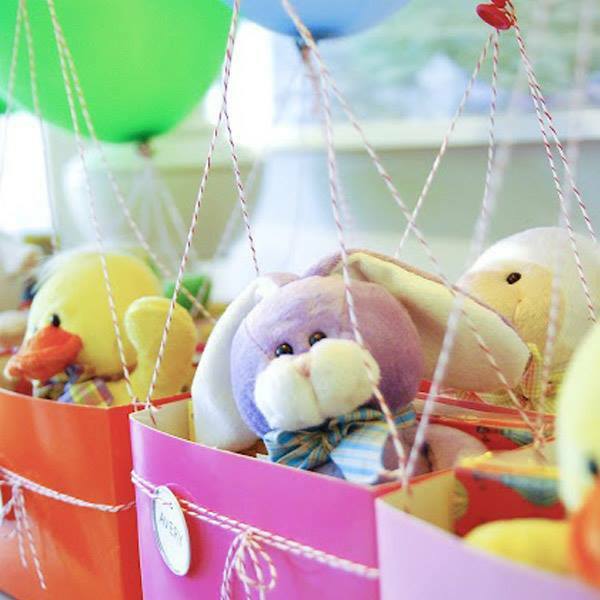 These butterfly bags made using ziplock bags and painted pegs are so cute. Details at Scissors Paper Card. 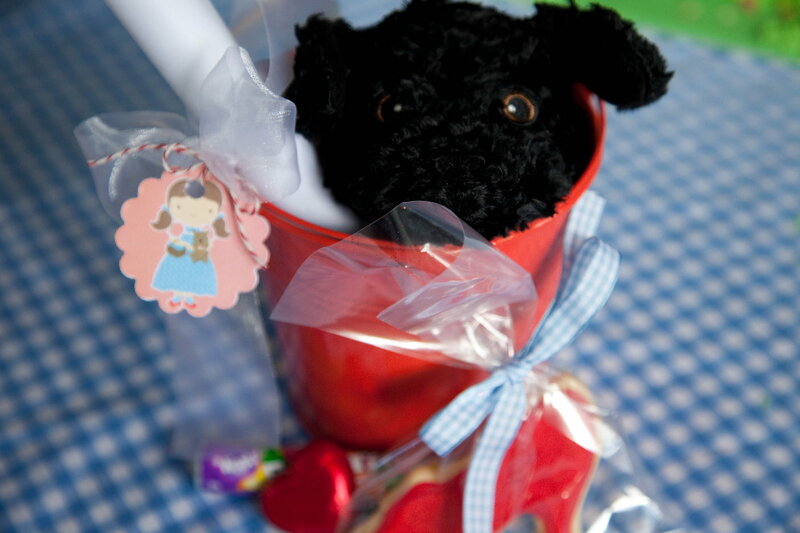 Bubble and Sweet held the most amazing Wizard of Oz party for her four-year-old, with Toto gift buckets at the end, complete with IKEA hand puppets as the pup. Love! 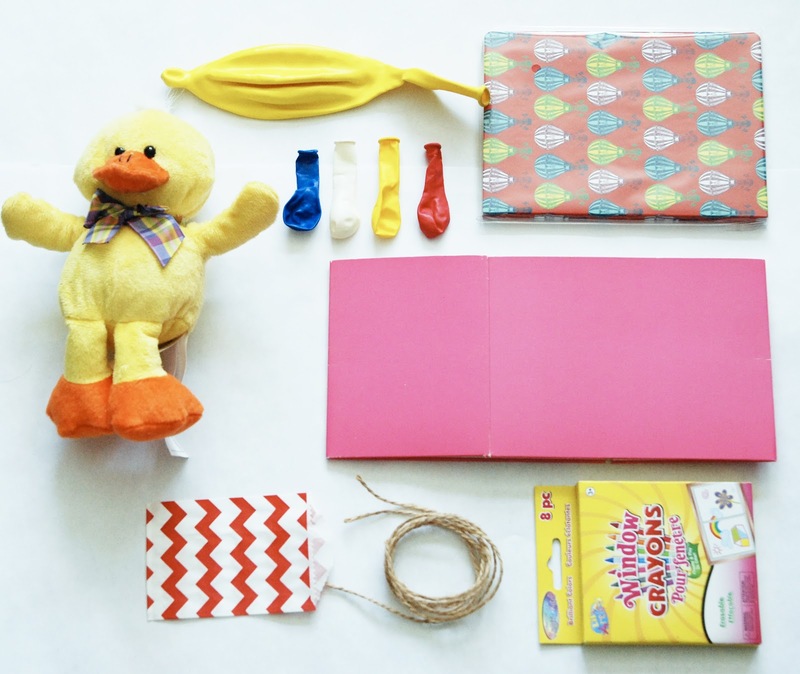 For a kid who loves balloons, how about these hot-air balloon goodie bags? From Rambling Renovators. How cool would this be for a pirate-themed party? From Sueniosencantados. Get a tutorial on how to make these Lego party bags at Farmish Momma. 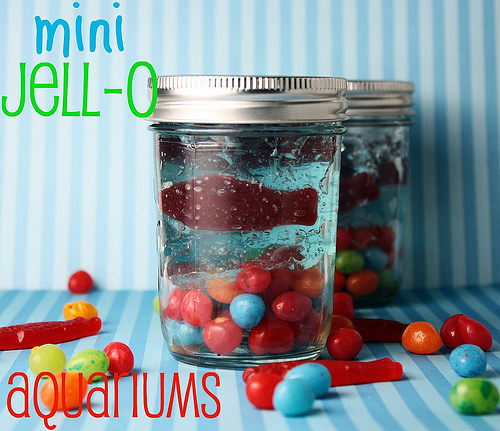 How about sending each kid home with a jelly aquarium in a jar? Instructions at Confessions of A Cookbook Queen. 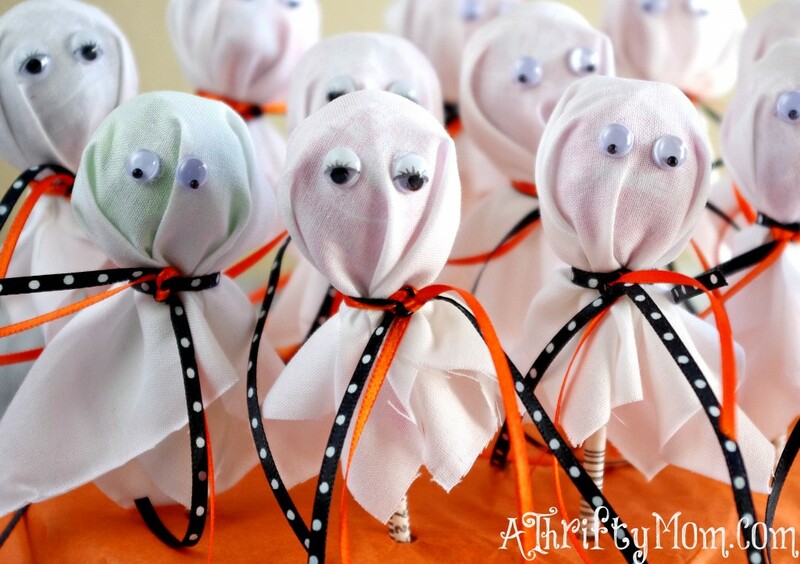 A Thrifty Mom has these fab ghost lollipops. 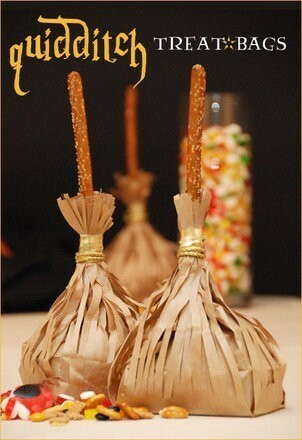 But why not make them with toffee apples instead as a take-home gift? Because bigger is always better … and they’ve got fruit in them … though I’m not sure that exactly makes them health food. No, I’m pretty sure it doesn’t. But it’s a party. 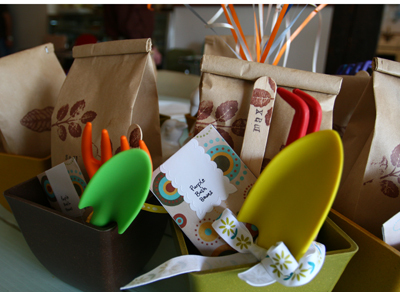 Go eco with a garden-themed loot bag with a pot, gardening tools, soil, a packet of seeds and a paddlepop stick stamped with eacj child’s name. From Heavy Petal.